That Bandai Namco/Counterplay Games partnership is already starting to pay dividends for fans of Duelyst. The two companies today announced an expansion for the free-to-play card game, as well as details on how to snag a bunch of freebies for the game. 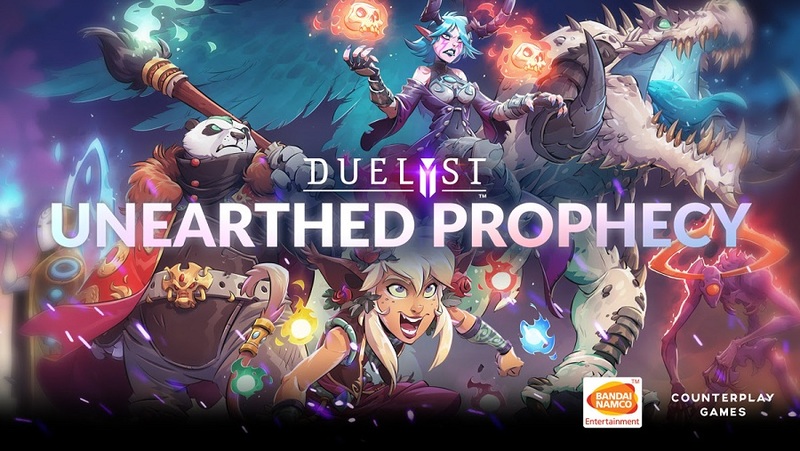 Unearthed Prophecy adds 94 cards to Duelyst — 13 for each of the game’s six factions and 16 neutral cards — as well as three new tiles and a new game mechanic, Sentinels. When certain conditions are met, minions with Sentinel transform into a new minion with additional abilities. Sentinel cards are only be available for the Songhai, Abyssian and Vanar factions. In addition to getting a one-time bonus of 900 Spirit and three Gauntlet tickets for linking your Duelyst account with a Bandai Namco account, you can also get three Core Set orbs and a Bandai Namco Healing Mystic as a login reward every day. Both of those offers are valid until Aug. 1. You can learn more about the Unearthed Prophecy expansion on the Duelyst site.